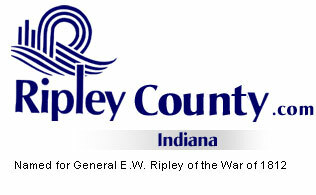 The Ripley County Council met on May 21, 2007 at the Ripley County Annex in Versailles, Indiana. Donald Dunbar, Council President called the meeting to order promptly at 7:00PM with the pledge of allegiance to the flag. Council members Dephane Smith, David Simon, Ben Peetz, Edward Armbrecht, Mark Busching, Juanita Kaiser and Don Dunbar were present for the council meeting. Council member Smith made a motion to approve the minutes from April 16th, 2007 Council meeting seconded by Council member Kaiser. Motion approved unanimously. Council member Smith made a motion to approve the additional appropriation of $15,920 from Fund# 618-32900-000-618 /RSRF Book Maps and $36,244 from Fund# 616-49000-000-616/ RSRF Tractor-Mower-Ditcher Grant seconded by Council member Armbrecht. Motion approved unanimously. Council member Armbrecht made a motion to approve the additional appropriation of $15,000 from Fund# 500-32545-000-500/ Reynolds Foundation Multi-Purpose Concrete Grant and $15,667 from Fund# 619-32545-000-619 Rising Sun Concrete Grant seconded by Council member Simon. Motion approved unanimously. Council member Smith made a motion to approve the transfer of $100,000 from 201-43100-000-027 Equipment to Fund# 201-32520-000-026 Bituminous seconded by Council member Kaiser. Motion approved unanimously. Thomas Grills, Ripley County Sheriff reported to the Council members on the Jail and Sheriff Department. Grills advised the council that he has three (3) employees who are retiring and a dinner is being planned for these men and wondered if he could use the commissary money for this dinner. Grills reported that the three will be receiving their hand guns and wanted to give some plaques to each for their services. It was reported that he had purchased new uniforms for all employees and that the camera system is in need of maintenance. Ginger Bradford, Clerk, Ripley Circuit Court updated the council on the Clerk’s Office/ Circuit & Superior, Election Room and Child Support. Bradford requested that the council change the clerical position to a deputy position and that she has the money in her perpetuation fund to fund the change in position. Council member Kaiser made a motion to take extra funds from the Perpetuation fund to fund the change in position. Motion died from lack of second. Wayne Peace, EMA Director updated the council on the progress of the Ripley County Emergency Management operation. Peace advised that there are four phases of Emergency Management #1 Mitigation, #2 Preparedness, #3 Responses and #4 Recoveries and reported that the grant income to date was $670,331. Pat Thomas, Health Department Director reported to the council members on the Vital Records, Nursing & Environmental Division Departments. Pat Thomas and Wayne Peace reported on the Department of Homeland Security advised the council that a grant for $3,000,000 is available for a new annex and asked for permission from the council to apply for the annex grant. Council members agreed that they can go ahead and get information on the grant for the $3,000,000 for a new annex. Shawna Bushhorn, Assessor for Ripley County updated the council on the Assessor’s office and that they handle the transfer of real estate and sales disclosures due to trending. Bushhorn advised the council that she will be coming to the June meeting for additional appropriation of $20,000 for the 2007 trending with Appraisal Research. The budget for 2008 trending money needs to be raised to $20,000 and that they need to raise the re-assessment rate. Roger Land, Sunman Sewer District advised the council members that a 5 (Five) member board will need to be established for the sewer district/ two(2) Town of Sunman, one (1) Council and Two (2) Trustees as board members. Council member Armbrecht made a motion to sign the Petition of Adams Township, Ripley County, Indiana, To Form a Regional Sewer District Pursuant TO: IC 13-26 seconded by Council member Peetz. Motion approved unanimously. Sandy Howard, LCC presented a request to appropriate funds from the LLC Fund in the amount of $22,941.25. Auditor McCoy advised that this will need to be advertised before it can be appropriate. Howard will return to the June meeting with this appropriation. Traci Eggleston, Regional Manager/ Indiana Department of Child Services advised the Council members that the agency budgeted appropriately for the 2006/2007 budget year, but currently are experiencing financial difficulties due to the lack of an actual cash balance. Eggleston advised that they currently have outstanding bills in which need to be paid in order to continue to serve families and was asking for assistance from the council in hopes of bringing bills current. Council member Armbrecht made a motion to do inter fund loan or advance draw in the amount of $400,000 to the Indiana Department of Child Services seconded by Council member Kaiser. Motion approved unanimously. Council member Armbrecht had been advised of a problem of dogs being loose in the county. Council President Dunbar advised that he would like to have a financial meeting with (3) three council member concerning the 2008 budgets, June 6th, 2008 at 10:00AM in the Annex. Dunbar would like to meet with Armbrecht, Smith, Dunbar and Auditor McCoy for the financial meeting. Council member Smith made a motion to adjourn until the next meeting on Monday, June 18th, 2007 @ 7:00PM seconded by Council member Kaiser. Motion approved unanimously.